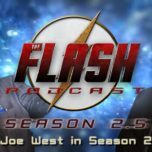 Three years ago on this exact date, December 2, 2013, I went live with IT….The Flash Podcast. 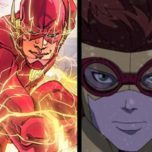 Episode 0 of Season Zero was released where I, still new in this podcast world, was babbling for twelve minutes, with Barry Allen’s first Arrow appearance coming up. Then there was Season Zero, Season 1, Season 1.5, Season 2, Season 2.5 and now we are at Season 3 – 124 episodes later. This journey continues to amaze me on every level for each year that goes by and so much has happened this past year. 2016 has been a very powerful year for this podcast, in many great ways. I, as well as the podcast itself, have made new bonds with both fellow podcasters/reporters as well as, in some degree, these amazing shows that we are watching week after week. The majority of the year, I spend some of the most amazing podcasting hours of my career with my two beautiful, geektastical and inspiring friends & co-hosts, Amy Marie and Lauren Gallaway. I have said it on air, off air, on social media, in person to some of the talent of this show that without Amy and Lauren: the Flash Podcast wouldn’t be what it is today and quite frankly, I don’t really know if this podcast would exist if it weren’t for them. We celebrated our 100th episode together this year right after Season 2 ended and it showed us how far we have gotten. It wasn’t just seeing the expansion of our listenership and social media presence, but also how fantastic our listening audience is because without you listeners…we wouldn’t be where we are today. You have probably seen this photo several times now on our respective social media feeds, but this awesome moment with The Flash himself, will be a memory I will never forget. Grant, should you be reading this: I can never thank you enough for everything you do. 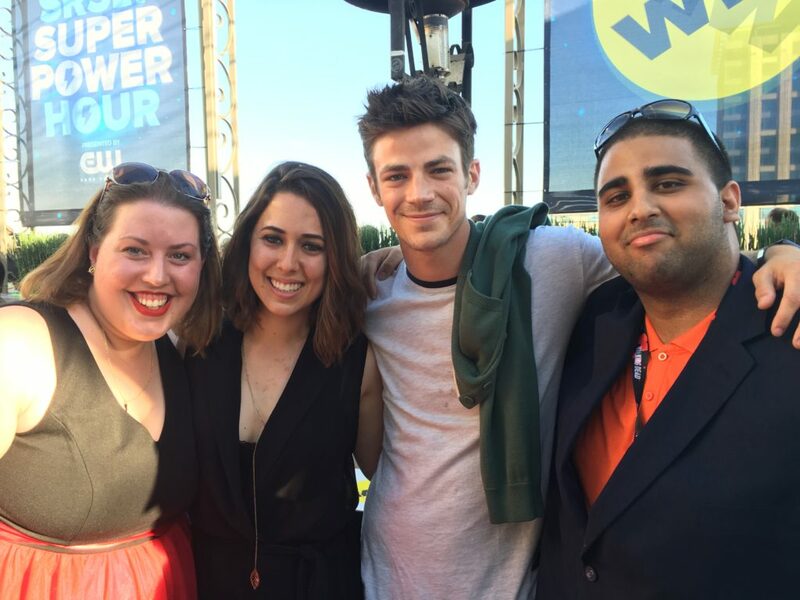 I don’t if you secretly have super-powers, but one thing is for sure – you are a hero both on and off screen. While sadly the third season of the podcast did start without Lauren, she is still an important member and friend in the DC TV Podcasts Network Family as well as this podcast, forever and ever. Last night we got to have two amazing hours with her again for the first time this season as we all nerded out about the 4-show crossover in the epic 4-podcast crossover. Don’t worry; you will hear her on this show again later this season. But we have gotten some new blood in this family this season, with Brittany Rivera (who does some Marvelous work at my website, The Marvel Report) and my brother-from-another-mother, Andrew Dyce (a phenomenal fellow geeky reporter from Screen Rant), as two of our new co-hosts this year. Getting both Brittany and Andrew to join this flashy family, was another highlight of 2016, both personally and for the podcast as they have helped expand this little family of ours and the adventures with them are just beginning. We also got a new amazing writer for the site who has been a listener of the podcast for quite some time, Tatiana Hullender (who also happens to work on The Marvel Report too!) who has been reviewing The Flash comic series, as we have been aiming to expand our Flash coverage. 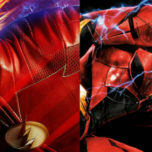 This is what I love about TV shows and social media: the connections you can make for sharing the love of something like The Flash. I would be foolish if I didn’t take this opportunity to give special thanks to Adam Holmes (a brother for life), who has been here since the very start. The dynamic duo that is David Jones (a godlike graphic designer) and Mike Schmidt (the epic DC TV Podcasts composer) who I have been fortunate enough to have on air this year which was so much fun. It will definitely happen again in the near future and this time, I want them on TOGETHER because even they have formed an awesome partnership as they are teaming up on great things together. Something that has also grown this year is the phenomenal podcasting network that is DC TV Podcasts. 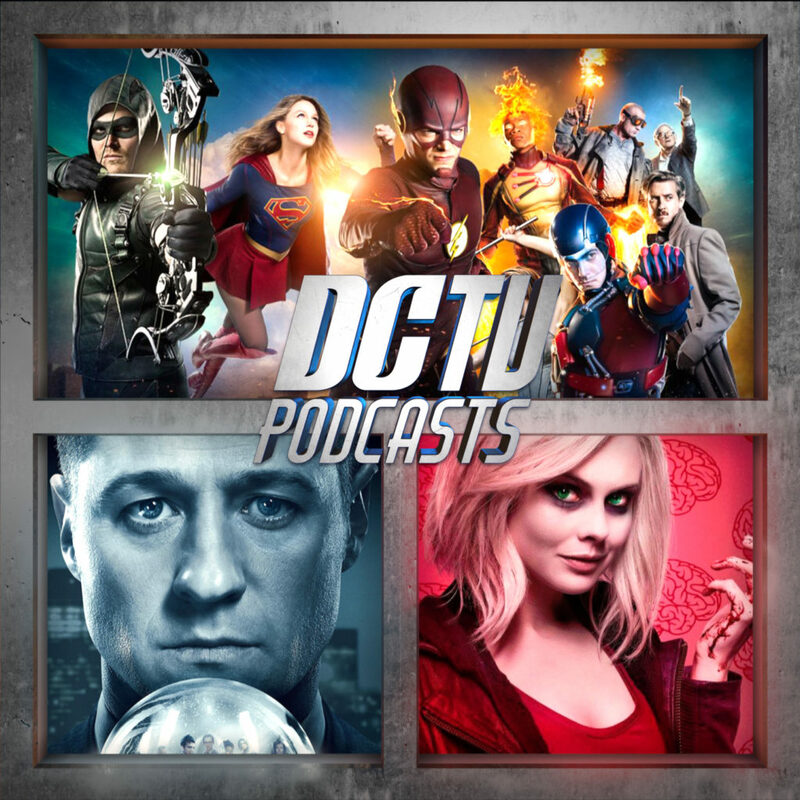 We have as of today a total of eight podcasts on air, for Arrow, The Flash, Gotham, Supergirl, Legends of Tomorrow, iZombie, classic DC TV shows and the DC Films. Back in June, we hosted our second podcast marathon for charity that was an even bigger success from last year, both thanks to you listeners, but also these amazing, beautiful, geeky, inspiring, strong and heroic podcasters that I’m proud to call friends and family. Michael Cohen and Amanda Konkin from Quiver: The Green Arrow Podcast, which also just recently celebrated 100 episodes, is the Green Arrow and Black Canary of this network to my Flash. The heroic Podcast Detectives Bill Meeks and Anne Marie DeSimone on Legends of Gotham, while on a different Earth (Earth-25 maybe? ), are people I’m proud to call friends. The three Supergirls of Supergirl Radio, Rebecca Johnson, Carly Lane and Morgan Glennon, who we have gotten to work a little closer with this year as Supergirl and Flash have been forming the #BestFriendshipEver (Kara would totally hashtag that). Kat Calamia, the Speedy (and Comic Editor of The Marvel Report now too!) of Legends of Tomorrow Podcast, whose love for Jesse Quick is the cutest which is why we have had her on more this year, but also because Kat is just one of the most amazing people in the Multiverse. 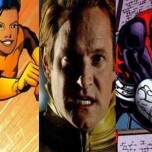 We have also gotten a lot of new voices and faces this year with the lovely Keith Chow and Britney Monae of DC TV Classics, Chris King, Catrina Dennis, Blaise Hopkins and Shawn Carpenter (four fellow members on The Marvel Report) of iZombie Radio as well as the recently announced new cast for DC Films Podcast, Roy Ranous, Shaina Lucas and Sark Sharkskin, all three that are going to do wonders with podcast. All these individuals are literally the Justice League of Podcasting on the Internet and I can never thank the Universe enough for letting me have these people in my life. Exciting things are coming to DC TV Podcasts in 2017 for sure, but more on that another day. But most importantly: a big thank you to every single listener of ours. Whether you started listening since Season Zero or maybe as early as this week, I think I can speak for the whole podcast that we can’t stress enough how much we appreciate every single one of you. Every week, we get several and several tweets, Facebook messages and emails with your love for the fastest man alive. We get to converse with you guys and share our passion for this show. Each week, we have thousands and thousands of listeners that hear us talk about this show, whether it’s Amy talking about Multiverse or Fringe (1.5- damn it I can’t put a time stamp here! ), Andrew nerding out about his new love that is Joecile, Brittany nerding out with me about the greatness that is WestAllen or me sharing my love for Laurel Lance for several hours (even though this isn’t even an Arrow podcast, but hey, that’s how quirky I’m), oh and WestAllen because, duh. I’m honored that we have gotten to form this community with you guys and that it’s continually growing which sometimes overwhelms me, but in the best way possible.